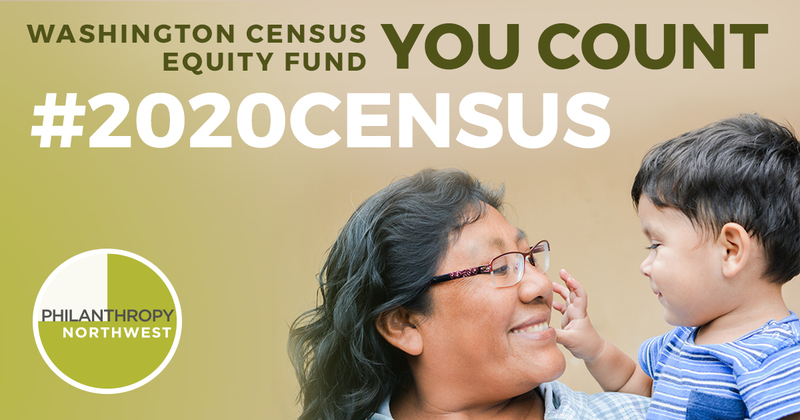 For more information on the Washington Census Equity Fund, please see the background information in Making Washington Count in 2020. 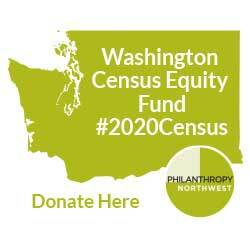 The Washington Census Equity Fund will maximize the impact and effectiveness of strategically invested philanthropic resources to ensure a robust and accurate count across the state. If you would like to invest or align your funding to the Washington Census Equity Fund in order to maximize your impact, please contact Ankita Patel for more information. A robust census is the first step in making sure that our communities have good jobs, roads, schools, healthcare and other social services - now and in the future. Everyone, individuals and organizations, can make a difference in local communities by contributing to the Washington Census Equity Fund. Information Sessions: “Census Friday” calls are scheduled on April 19 and 26, and May 3 at 10 a.m. PDT. In-person info sessions will be available in King County. Applications are due on May 15, 2019, at 5 p.m. PDT. Read the complete funding opportunity announcement to preview the application questions. In order to support coordination between funders and equitably resource efforts across Washington state, the Washington Census Equity Fund and the Regional Census Fund are working together with a shared request for proposal and application portal on the Seattle Foundation website. The Washington Census Equity Fund will focus on efforts across Washington and the Regional Census Fund will focus on work in King County.